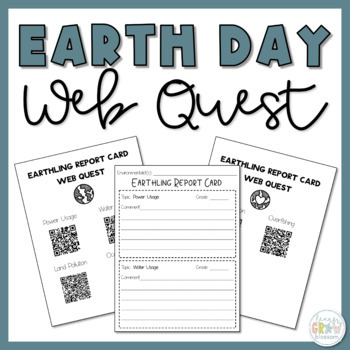 In this activity, students will be writing a report card to earthlings on 7 different topics: power usage, water usage, land pollution, ocean pollution, air pollution, overfishing, and deforestation. 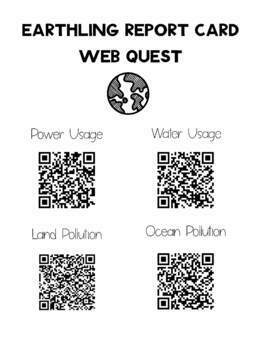 To facilitate research, a QR code is provide for each topic in the Web Quest portion of the handout. 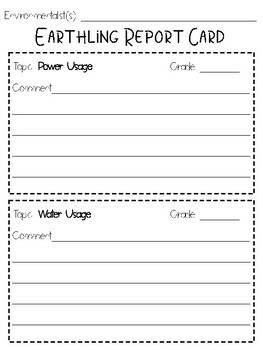 The QR codes link to Newsela articles about the 7 topics. 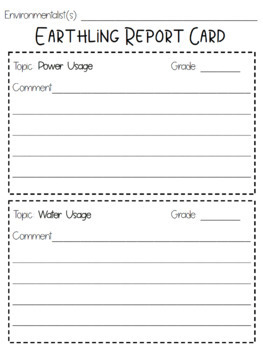 The Newsela articles are either based on current events about the topic or give a general overview on the topic. To access Newsela articles students simply have to enter the class code. Signing up for Newsela is free for teachers (for the basic version). Lexile ranges can be changed to make articles more difficult and have a wider breadth of information for older students or stronger readers.